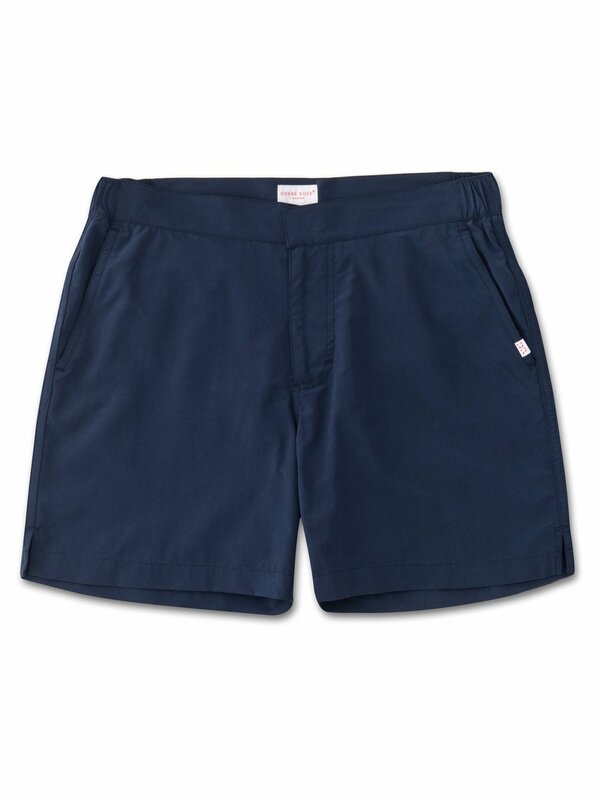 Our Aruba modern fit swim shorts in navy blue are crafted from a quick-drying polyamide fabric which has been pre-washed for a supersoft finish. Designed for a slimmer fit without compromising on comfort, our modern fit swimming trunk has a flat front and rear waistband with elasticated hips for contemporary styling. The fly opening features our unique pin-lock zip which locks into place when flat to ensure a secure closure and the waistband is finished with a hidden double popper closure for the perfect fit.